Singapore is known far and wide for being a melting pot of many different cultures from all over the world. As of January 2019, the city-state is home to approximately 5.6 million residents — 61 per cent of this number is made up of Singaporean citizens (3.5 million), and the remaining 39 per cent is comprised of Permanent Residents and non-citizens — these include expatriates who are working here, their families, and international students. Among Singapore’s citizens, there are four races that have long been known as the main races of Singapore — they are the Chinese, Malays, Indians, and Eurasians. From colonial times till today, these four races are recognized and celebrated as the four main races during Racial Harmony Day. On July 21 every year, Racial Harmony Day is celebrated in schools and grassroots organizations through various cultural performances and activities. It marks a day to reflect on and celebrate Singapore’s dedication and achievements in becoming a nation where people of different races can live together in harmony. Most Chinese Singaporeans are descendants of immigrants from Mainland China, who came to Singapore as early as the 1820s. Back when Singapore was under British rule, and in the midst of transforming from a rural fishing village into a busy port, many people were attracted by the many job opportunities available then and migrated over to Singapore. The Chinese immigrants mostly originated from the Southeastern coast of China — in particular, the provinces of Fujian, Guangdong, and Hainan. The Chinese people from these regions spoke three main dialects — Hokkien, Teochew, and Cantonese. Till this day, many Singaporean Chinese people still speak these same dialects everywhere, especially the older generation. Today, Chinese Singaporeans are the largest ethnic group in Singapore, making up about 75 per cent of the entire population. Although descended from Mainland Chinese, Chinese Singaporeans now are more westernized and many of them choose to speak English as their first language (the second language is Mandarin). Aside from Mainland China, Singapore is the only other country in the world where ethnic Chinese form the majority of the population, and are also equally represented in the political and economic aspects of Singaporean society. 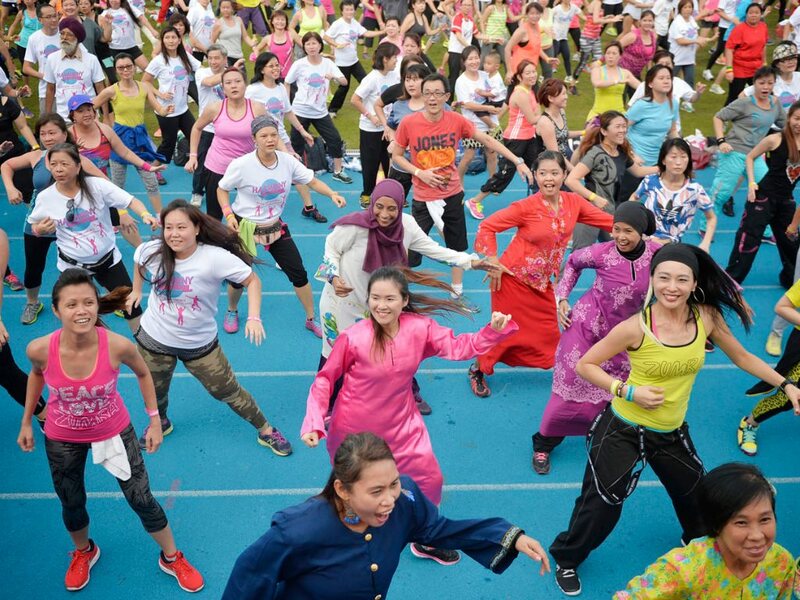 Although westernized, many Chinese Singaporeans still place great importance to Chinese culture. Chinese New Year (also known as the Lunar New Year) is an important festival to most Singaporean Chinese families. It is a national public holiday, and many Chinese Singaporeans take this time to visit relatives and wish each other good health and prosperity for the new year. Singaporean Malays are considered to be the indigenous people of Singapore. Back when Sir Stamford Raffles first arrived in Singapore, there were already about 1000 Malays here — they were known as the Orang Laut. As the years passed and Singapore’s global standing increased, many ethnic Malays from Malaysia (mainly from Malacca) and Indonesia also made the move to Singapore. Malays are now the second largest ethnic group in Singapore, comprising 15 per cent of the population. The Malay language is considered to be the official national language in Singapore. While not every racial group speaks it, the National Anthem of Singapore is composed entirely in Malay, and all children sing it in schools every morning. Majulah Singapura, or Onwards Singapore, was composed by Zubir Said, a Singaporean Malay composer with Indonesian Malay heritage, back in 1958. It was formally introduced to the nation when Singapore’s first Yang di-Pertuan Negara (Head of State), Yusof bin Ishak, was inaugurated. A Singaporean Malay, he later became Singapore’s very first President, and his face is now printed on all Singapore dollar notes. Singapore’s current President (2019) is also a Singaporean Malay — Halimah Yacob. She was previously Singapore’s Speaker of Parliament, and in 2017, she was sworn in as the first ever female President of Singapore. Indian Singaporeans make up about 7 to 9 per cent of the population today, and many of them have roots not just from India, but from Britain as well. Like how Singapore came to be under British rule, India was also a British colony, so many Indians working for the British government were brought to Singapore for work. Although the third largest ethnic group, Indian Singaporeans are more diverse with class stratification — there are some highly-educated Indians in white-collar positions, yet there are more Indian immigrants who are blue-collar hard labourers. The majority of Indians are Hindus, and there are about 35 Hindu temples in Singapore. Among these is the Sri Mariamman Temple in Singapore’s Little India district, and it is the oldest Hindu temple here. Built in 1827, the temple is a major tourist attraction due to its historical and cultural significance, and in 1973 it was declared as a National Monument of Singapore. Eurasian Singaporeans are a minority — at just 0.4% of the general population — but they are still considered to be one of the identifiable communities in Singapore. Eurasians are people with a mixture of European and Asian heritage, and many of them came from Malacca. Back during colonial times, Malacca was previously occupied by the Portuguese and Dutch, so it is unsurprising that many Eurasians have Portuguese and Dutch roots. Some Eurasians are also known to have Spanish, British, or Irish roots. Eurasian Singaporeans might not be the most widespread of the four races, but they form very tightly knit communities. Many of them are Roman Catholic, so every Sunday they go to church for religious services. Christmas is a very big celebration for Catholic Eurasians — it is a time for them to catch up with one another, and to enjoy Eurasian cuisines like Curry Devil and Shepherd’s Pie.